After half a season, not to mention a World Cup with VAR, the debates rages on in Spain about the system after a controversial weekend in which several key decisions were referred upstairs. Match-day 20 was certainly one to provide a host of moments that have generated contrasting opinions but it ultimately ended with the ‘big three’ all winning with most results going to the form-book. Heading into Monday night’s clash between Eibar and Espanyol, none of the current bottom half has chalked up a victory on this match-day while Sevilla and Alaves were the only top half teams defeated. Those results have really added intrigue to the battle for the European places with 4th place seemingly up for grabs again while the likes of Betis and Valencia also put 3 points on the board to bolster their respective European hopes. The most controversial incident of the weekend came at Camp Nou on a testing Sunday evening for Barcelona. With Leo Messi on the bench, the Catalan giants were frustrated by Leganes, who levelled the game up at 1-1 courtesy of a goal from Middlesbrough loanee Martin Braithwaite just short of an hour. The forward has now scored against both Barca and Real Madrid since joining this month and somewhat amusingly, unless you’re a Boro fan, has now scored as many goals at Camp Nou as he has managed at the Riverside this season. Ernesto Valverde brought on Messi soon after the goal and with 71 minutes gone, his stinging long-range drive forced Leganes keeper Pichu Cuellar into action. He could only parry the ball into the air though and Luis Suarez was quickest to respond, bundling the ball into the net whilst also appearing to connect with Pichu’s head. Despite protests from the visitors, both referee De Burgos Bengoetxea and then VAR concluded that the goal was legal and it proved the springboard for a 3-1 win, wrapped up by more brilliant link-up play from the almost telepathic duo of Jordi Alba and Messi. The result to some extent made up for a defeat away to Leganes earlier in the season and restored Barca’s 5 point advantage at the top after Atleti’s win earlier in the day. Ernesto Valverde would have dearly loved to have rested Messi completely though and they head into this week’s Copa del Rey Quarter-Final trip to Sevilla with a fresh injury concern after Ousmane Dembele hobbled off with an ankle problem. The Frenchman is set to miss at least two weeks at a very busy period in the season. The use of VAR has been hotly-debated in La Liga in recent weeks, but just how are they getting on with the technology this season? While inevitably events at Camp Nou grabbed the headlines, there was VAR controversy elsewhere and also some baffling delays while seemingly straight forward decisions were made. Real Valladolid had to wait over four minutes to find out what appeared to be an equalising goal at Levante had been ruled out for offside. They went on to lose 2-0 with Roger Marti sealing the win for the hosts five minutes into Stoppage Time. The result leaves Valladolid down in 15th and just 2 points above the relegation zone and they feature in our mid-season La Liga betting tips and predictions, in what is shaping up to be an intense survival scrap. In some respects the biggest game this weekend took place at the Estadio de la Ceramica where surprise strugglers Villarreal and Athletic Bilbao met. 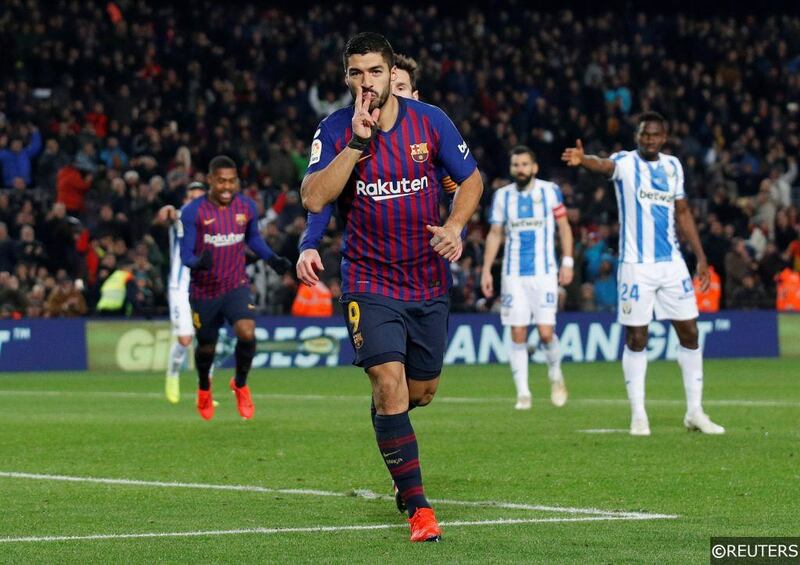 The Yellow Submarine started the afternoon four points adrift of safety and things got off to a nightmare start when Jaume Costa fired into his own goal after 18 months. Karl Toko Ekambi levelled in the Second Half for the hosts, after a long VAR review which seemingly was intended to review a penalty appeal at the other end of the pitch in the build-up to the goal. A further VAR review chalked off an Inaki Williams goal for Athletic late on, again taking a curiously long time to come to a fairly simple decision. Those in favour of the system, will point to the correct decisions being reached in the vast majority of incidents but halfway through the season, there are clearly still issues which are slowing the game down, often completely unnecessarily. The problem of fans inside the stadium not being properly informed of events also remains and needs to be properly looked at with more leagues and competitions set to implement VAR in 2019. For once there was relatively little drama involving Real Madrid this weekend. Their top four clash with Sevilla didn’t really have a big game feel with both clubs already a distant 10 points back on leaders Barcelona. The outcome, a 2-0 Real Madrid win, does little to effect the title race but does open the door to a host of other teams with hopes of snatching the 4th Champions League place away from Sevilla. It was a tired, lethargic display from the Andalusians, who looked a shadow of the side who had beaten Los Blancos 3-0 earlier in the campaign. After a drab 1st Half, a marvellous display from Luka Modric saw Real increasingly take control. Sevilla’s resistance lasted 78 minutes as a Casemiro thunderbolt broke the deadlock before Modric fittingly sealed the win late on. Back-to-back league wins over the Seville clubs provide a timely boost to Real but do little to change the perception that Santi Solari will be replaced this summer. While only a Barcelona collapse will allow Real Madrid back into the title race, one thing to really keep an eye on now is the race for 4th. Sevilla have taken just 2 points from their last 4 games and remain winless on the road in La Liga since September. Pablo Machin spoke candidly of fatigue in his post-match comments and a Copa del Rey double-header with Barcelona is probably the last thing they need right now. Sevilla are now only 2 points above Getafe, who haven’t lost away since August and are now adding goals to their solid defensive foundations, with an impressive 4-0 win over 5th placed Alaves on Friday. Betis are only a couple of points further back while Valencia and perhaps even Real Sociedad will now also think a late push for Champions League football is not impossible. Categories: Blog and Football. Tags: luis suarez, Luka Modric, and Ousmane dembele. Team Tag: Athletic Bilbao, Barcelona, Leganes, real madrid, sevilla, and Villarreal. League: Spanish La Liga. Sports: Football.